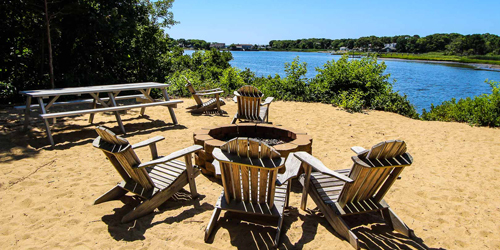 With its Cape Cod beaches, historic city of Boston, and lush countryside, Massachusetts has plenty of lodging for romantic getaways. 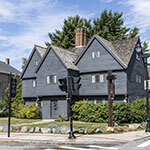 Search the listings below and reserve now for a sweet weekend getaway at a lush Massachusetts lodging. 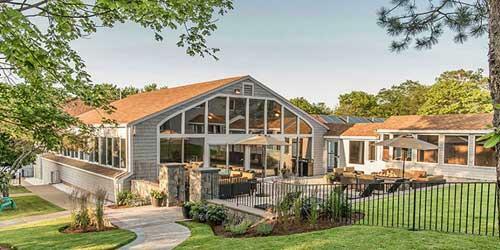 Waterfront resorts along the coast, high-rise hotels in urbane Boston, cozy inns in the Berkshires: a romantic weekend getaway -- from breakfast to a midnight soak in the Jacuzzi -- is waiting for every couple. 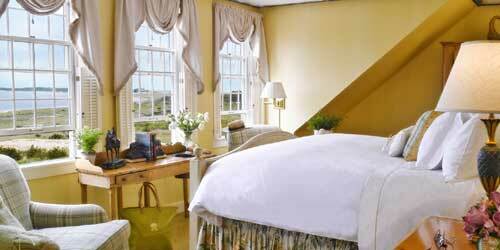 Experience a romantic getaway to Massachusetts and The Nantucket Hotel, recently awarded TripAdvisor’s “Top Hotel in the United States.” Situated in Downtown Nantucket near eclectic shops, restaurants & beaches. Featuring upscale hotel rooms; 1-4 bedroom suites & cottages; The Nantucket Club fitness & spa facility; heated pools; hot tub; Concierge Services; and shuttle service to/from the high-speed ferries. Enjoy cocktails by the glowing fire pits at our Breeze restaurant. 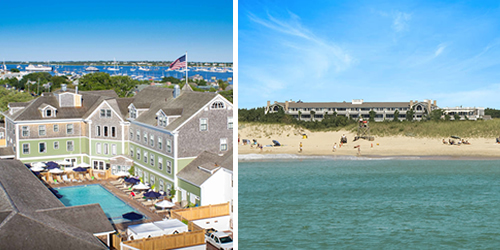 Enjoy an unforgettable Massachusetts escape to the Winnetu Oceanside Resort at South Beach, Edgartown - awarded US News & World Report’s “Best Hotel on Martha’s Vineyard.” Offering studios; 1-4 bedroom suites & cottages & ocean-view restaurant, The Dunes with an Outdoor Terrace and cozy fire pits. 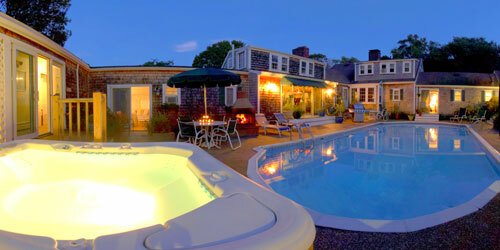 Complimentary shuttles to Edgartown, new heated pools and hot tub, fitness center; tennis; Concierge Services, yoga & more. Also available: massages and bike rentals. 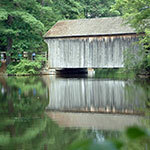 Sturbridge keeps the historic past and traditions alive for all of us to enjoy. For 240 years in a rural New England setting, Public House has been hosting romantic getaways with 18th century ambiance, delicious food and cozy lodgings. 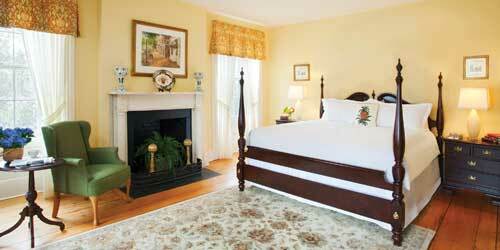 Just a short drive from Boston, Rhode Island, and Hartford, the historic Inn and adjacent Chamberlain House offer guest rooms and suites with period antiques and reproductions and all the peace and comfort you require. Fireplaces, couches and wing back chairs warm your meals in the Tap Room and Ebenezer’s. Traditional and casual Yankee cuisine fill the hungry spaces while the smell of fresh out of the oven baked goods start your morning each day. Romance is what you make it. 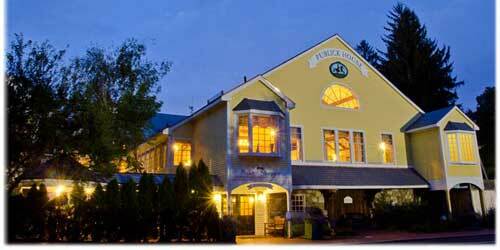 The Publick House will make it everything you wish. 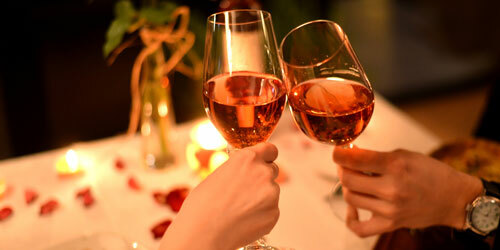 A Romantic Weekend Escape, Fall in Love in Luxury.. Enjoy a romantic vacation or honeymoon surrounded by luxury, first-class service and New England history at the Fairmont Copley Plaza Hotel in Boston’s Back Bay. 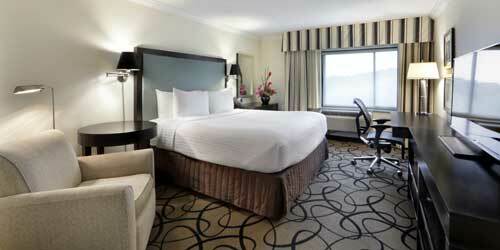 Our guestrooms combine the classic elegance of the past with contemporary luxury. Sip a hand crafted cocktail, sample a farm to table American menu at OAK Long Bar + Kitchen our new, American brasserie style restaurant. 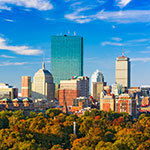 Explore - take a walk through historic Boston Common or along the Freedom Trail. 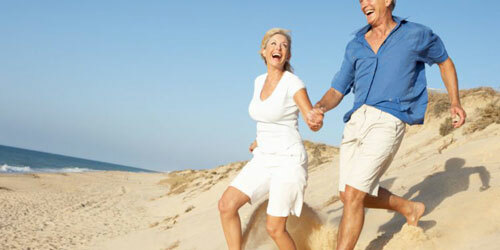 Our dedicated staff will attend to your every need, allowing you to relax and enjoy yourselves. 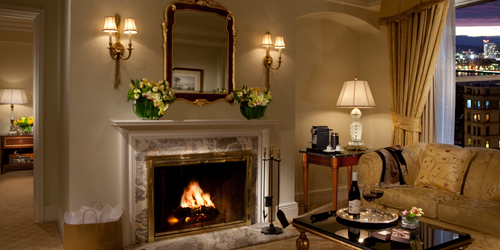 The Fairmont Copley Plaza will create an exceptional experience and help you make a lasting memory. 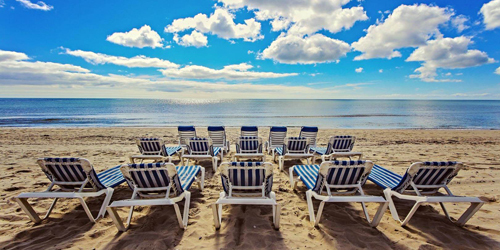 Your romantic getaway at the White Elephant on Nantucket begins even before you arrive with a call to our pre-visit concierge, who can suggest activities from spa services to island tours. With our Romance Package, your island getaway starts with champagne in your room, dinner (try the local oysters) in our lauded Brant Point Grill, followed by a sunset cruise. Whether you stay in a light-filled suite at the classic hotel that edges the harbor, a sophisticated in-town loft, a garden cottage with a fireplace, or a residence in charming White Elephant Village, the features are the same: luxury linens, jaw-dropping views, easy walks to beaches and boutiques, access to a heated outdoor pool and fitness center – and impeccable service. 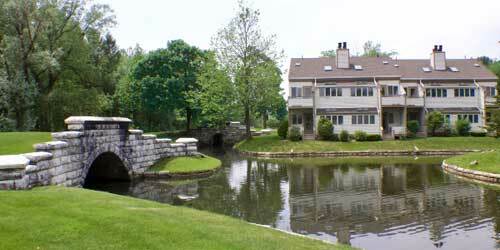 The Wauwinet resort has been providing a romantic escape for guests for almost a century and a half. That tradition continues today, beginning with your arrival at the inn, taking in the lounges on sweeping lawns down to the sea, lush gardens and spectacular views of Nantucket Bay. With the inn’s Splurge Package, a dozen oysters and champagne await you in your spacious, luxurious room, suite or cottage. 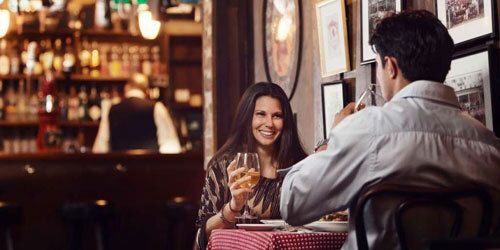 Or, with the Ride & Rose Package, stay for two nights and let the inn provide a rose champagne picnic for two from the celebrated TOPPER’S restaurant as well as a custom romantic escape bike map. Spend your day at the beach, exploring galleries, then grab a sunset cocktail on the restaurant deck. 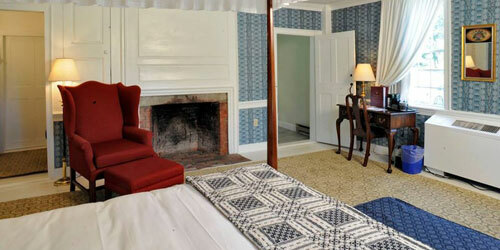 Located on the site of the original Pilgrim settlement, the John Carver will capture your heart. Stroll through history as you will be steps from Plymouth’s attractions, stop to enjoy the scenic waterfront and relax on the white sandy beaches. 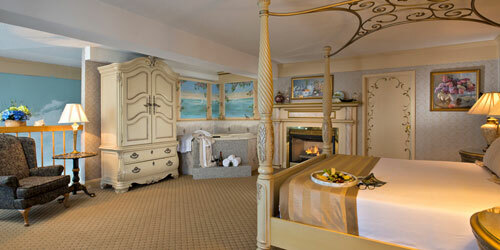 Settle into your room or luxury fireplace suite featuring a two-person Jacuzzi and posh Suite Dreams amenities. Make a splash in the award-winning Pilgrim Cove Indoor Theme Pool with 80’ water slide, lap lanes and relaxing whirlpool set amidst a replica of Plymouth Rock. Enjoy the great atmosphere and delicious fare in our new WaterFire Tavern or a cozy meal in our award-winning Hearth ‘n Kettle Restaurant. Indulge with a soothing Couple’s Massage in our Beach Plum Spa. 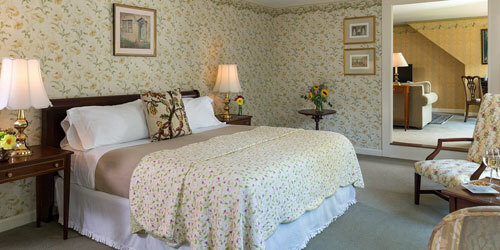 Romantic couples’ overnight packages available. Reserve online! 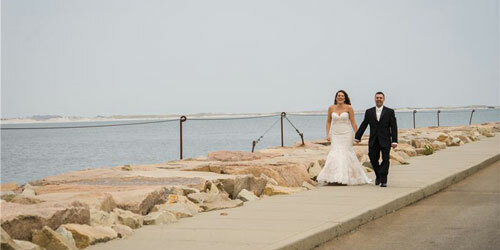 From one end of marvelous Massachusetts to the other, romance blossoms. Stroll through the English gardens of the stately Captain's House Inn on Cape Cod, with the tranquil sound of fountains in the background. 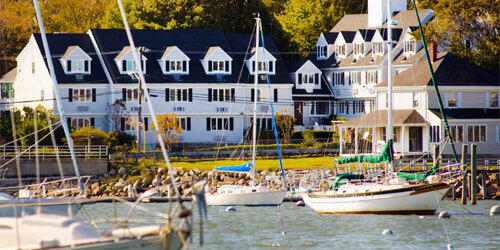 At the boutique-style Harbor Light Inn, enjoy the views of pre-revolutionary Marblehead from your private sundeck. 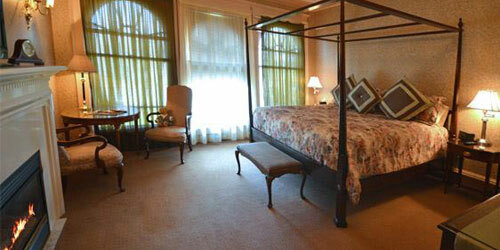 Breakfast in bed, flowers and chocolates are part of the KISS romance special at the historic Deerfield Inn. 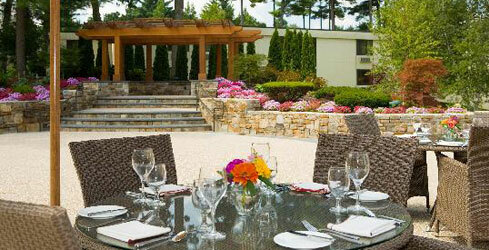 Gourmet dining and a setting amid the beauty and culture of the Berkshires distinguish the elegant Gateways Inn & Restaurant. 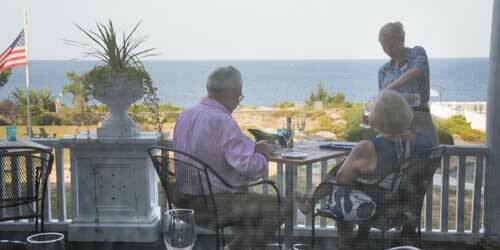 From sea captain’s homes to Gilded Age mansions, the individually owned inns of Massachusetts beckon all couples seeking to relax, rejuvenate – or just have fun together. *Please call the hotel direct to secure this package or visit our website by clicking the link above. Packages and Rates are subject to availability. 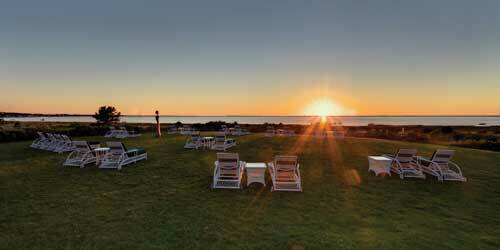 A sparkling sunrise and a stunning sunset are the bookends to each romantic day at the Inn at Scituate Harbor, where every one of the 29 guest rooms (and the luxurious harbor suite) has a view of charming Scituate Harbor. Sleep in, then sip your coffee on our deck while you watch fishing and sailing boats come in and out of the harbor, right at the inn’s doorstep. Shop the unique boutiques along Front Street, go for a dip in our heated indoor pool, enjoy a seafood lunch or dinner at one of many fine restaurants in town, then come back to the inn for cocktails on the outside patio, where sea breezes will put you into a state of pure relaxation. 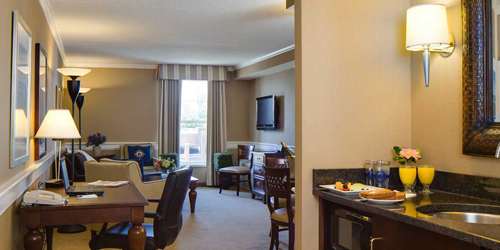 Step into your guest room at The Lenox, and envelop yourself in luxury. Our elegant accommodations are richly appointed with crystal lamps, mahogany furniture, high ceilings and exceptionally comfortable beds. 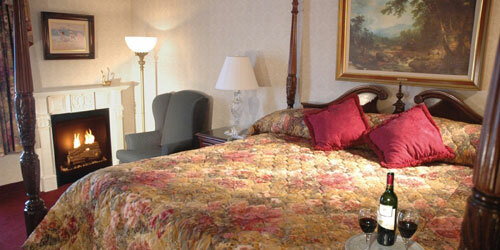 The Lenox offers the perfect complement of Old World charm and romance coupled with modern technology. Steps from world-class shopping on Newbury Street, fine dining, and many cultural attractions including the Museum of Fine Arts and Trinity Church, our Boston landmark, environmentally friendly hotel provides everything one needs for an enjoyable stay. Enjoy your romantic getaway in one of our spacious corner rooms with spectacular views of the Charles River and the Back Bay and a wood burning fireplace. The perfect romantic getaway needs the right setting. Not too much to distract you from why you’re there, but just enough of everything you desire in a hotel. 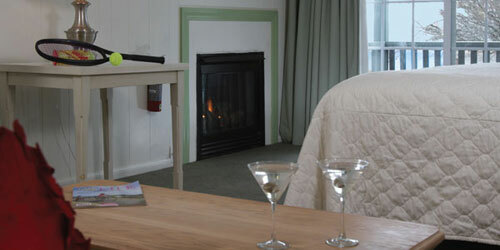 The senses must be attended to so choose from classic or studio rooms or suites and you’ll find a canopy bed and fireplace await along with surround sound satellite radio and 24 hour dining in your room. The marble bathroom features, rainforest shower and Frette bathrobes provide that extra touch though you’ll also have a flat screen TV and complimentary wireless internet access day or night. Being in one of the world’s great cities you won’t want to miss shopping and culture hunting while holding hands and sharing kisses. The morning after, indulge in an intimate breakfast to satisfy any lingering hunger. 1st on Conde Nast's list of 10 Top Hotels in Boston: Readers Choice Awards 2018. 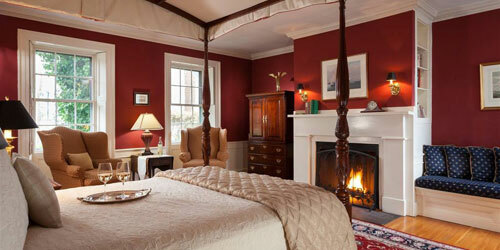 Escaping to the island of Nantucket is the ultimate romantic adventure. From your base at the inviting Jared Coffin House, in the center of town, you can explore the island’s many galleries, boutiques, eateries, architecture and history. Pack a picnic lunch and bike around the island, go out on a sunset sail or let the concierge book you a romantic cruise. 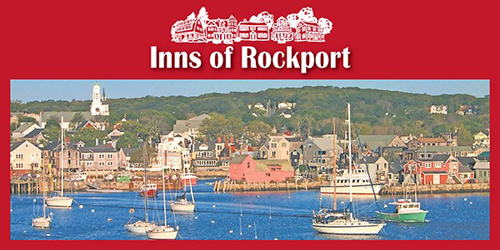 At the historic inn, with its cozy nooks for reading and charming rooms, many with four-poster beds, all with crisp, white linens, enjoy coffee and pastries in the morning, then grab beach chairs, towels and an umbrella and head for a sandy beach. Come back in the evening for a steak, a cocktail and to watch the sun set over this quaint town. This package is now available through April 30, 2019. Pricing from $245+tax per package, or from $210+tax for OSV members. Call 508-347-5056 to book this package today. 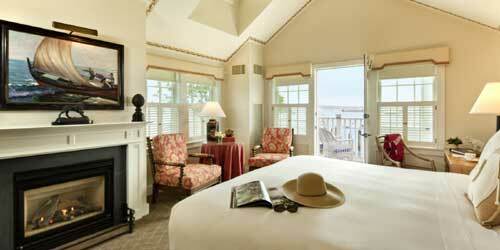 If you have a fantasy about a romantic island getaway, Nantucket Island Resorts would like to turn it into reality. You might book one of the exquisitely decorated rooms at the Wauwinet, noted for its superior service, natural beauty and access to beautiful beaches. 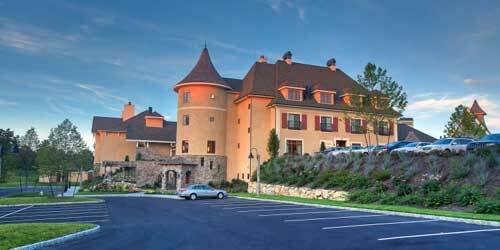 Relax at their spa or choose one of the 1,450 wines at Topper’s restaurant. Or perhaps you’d rather stay in the White Elephant Village, in an in-town loft or garden cottage with a fireplace or deck with a gorgeous water view. 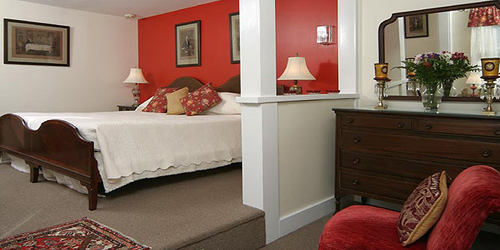 Or feel like you are vacationing in a mansion at the historic Jared Coffin House, stepping out to stroll Nantucket’s charming cobblestone streets. 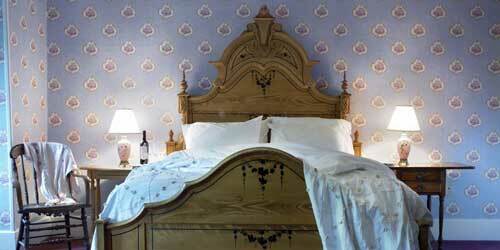 Whatever your destination, concierge staff will make your romantic getaway dreams come true. 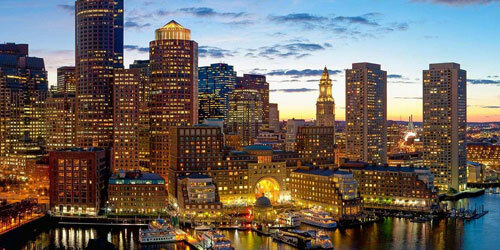 The Taj Boston is synonymous with luxury, big-city convenience, and fashion. 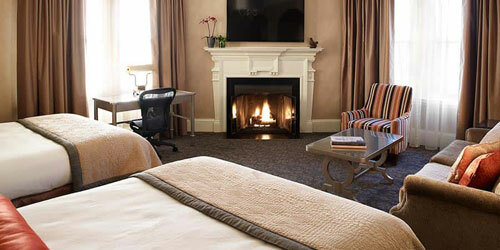 You might not expect fireplaces in guest rooms at a gleaming city hotel, but that is just what guests can have here. 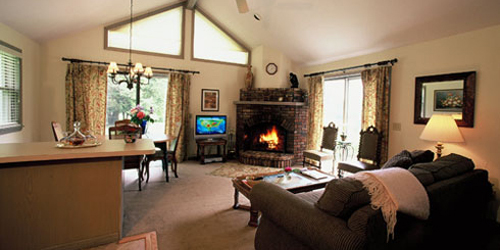 It’s all about the luxury and a fireplace fits right in, especially for a romantic getaway. Taj indulgences also include views of the incomparable Boston Public Garden, continental buffet breakfast, elegant afternoon tea in the French Room overlooking Newbury Street, and access to one of the great cities of the world. 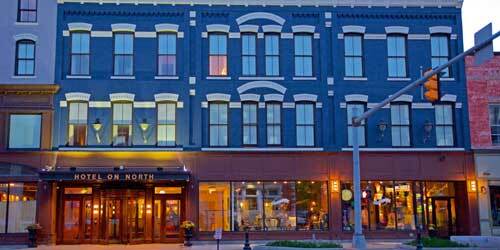 Spend some together time in America’s hometown and stay close to everything at Hotel 1620, across the street from bustling Plymouth Harbor. After dinner (tapas and wine, anyone?) in the relaxing 1620 Bistro, watch the sun set over the bay from your spacious room, with its soft bed and high-end linens. 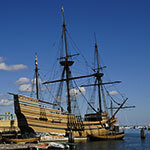 Or stroll along the water, maybe stopping for an ice cream cone, up to Plymouth Rock. In the morning, after a hearty breakfast, walk to a museum or do a little shopping. You’ll have your pick of lunch spots in this vibrant town. 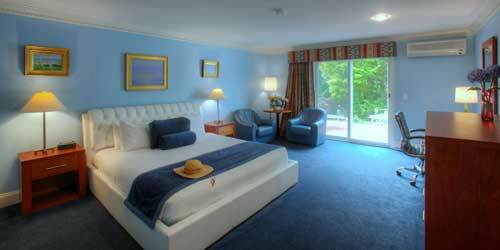 Stop back at the hotel for a swim in the indoor heated saltwater pool or use the fitness center. 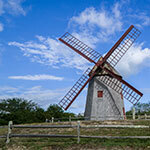 Then head out for a harbor cruise, whale watch – or catch the fast ferry to Provincetown.